Ever wondered what’s inside The Magic Book of Spells? It contains every spell you’ve ever seen on the show, plus the history of Mewni, as told by thirteen queens. Each chapter is full of secrets, magic, and notes from Star Butterfly! This fun-packed, full-color jacketed hardcover version of The Magic Book of Spells will give fans of Star vs. the Forces of Evil all the inside information… and a chance to meet four never-seen-before queens. Plus, the book jacket doubles as an exclusive Mewberty Wings tarot card poster! Fans will have access to the past 13 Queens. Well, 12 Queens and one not-quite Queen. They’ll gain insight into their various spells, histories, diary pages, tarot cards, secret loves! They can find out their Aureole sign, recipes for Mewni pies, and if they are really clever unlock a secret language! One of the things we totally love about the show is getting to know all the different Queens. My daughters favorite has been Eclipsa (she loves the villains like her mama! ), but this book has opened up a whole new world of Queens! Festivia the Fun has become her new favorite Queen after reading through this book. Honestly though, the best part about this spell book is that there are several pages for her to add her own story. She is excited to officially be a “soon to be Queen” in the back of The Magic Book of Spells! Enter to win this Star Vs. The Forces prize pack using the Gleam form below. 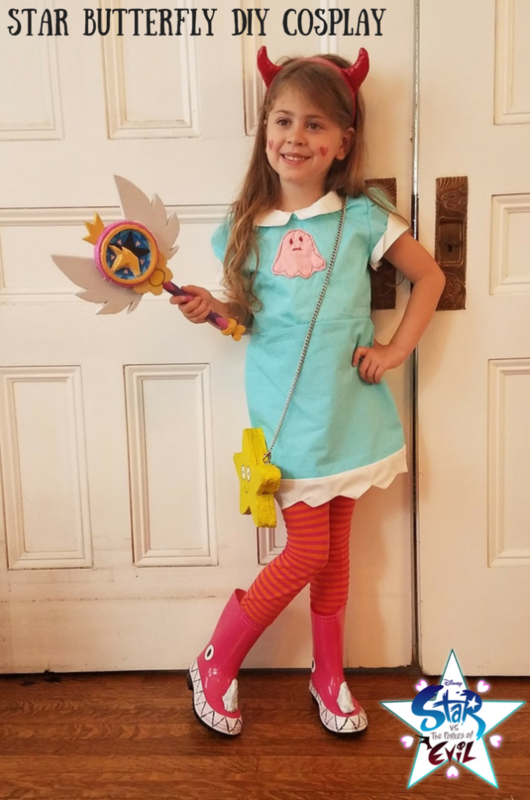 Winner will receive a copy of Star vs. the Forces of Evil: The Magic Book of Spells, plus Star’s wand, headband, and wand enamel pins! Be sure to check out my other giveaways while you are here and GOOD LUCK! What a great book! I love that it comes with accessories, my daughter would absolutely love it! My oldest niece would love this! I have to make sure I get something for my other nieces so they don’t fight over this. My daughter would love if I won the evil magic book of spells. I would add it to her reward gift pile. Thanks so much for the chance to win. I would love to surprise my daughter with this prize! I don’t know if my nieces watch the show or even know about it, but I will be sure and let them know about it if they don’t. I would like to check it out myself! My daughter would have a blast if I got this for her. I would love to win. Thank you very much for the chance to win.